ON 14 September, Prof. Shimojo Masao, author and professor Ikeda Nobuo, and LDP upper house member Katayama Satsuki filmed a panel discussion for broadcast on Nico Nico, a website for videos in Japan similar to YouTube. The subject was Japanese-South Korean relations. Here are some excerpts. Shimojo: Liberal Democratic Party members in the Diet repeatedly asked (Deputy Prime Minister) Okada Katsuya and (Minister of Economy, Trade, and Industry) Edano Yukio whether they thought South Korea has illegally occupied Takeshima. They answered that they would not make a clear statement because it was not in accord with the national interest. They refused to say that Takeshima was illegally occupied. It seems somehow that, in some underlying way, they think Takeshima belongs to South Korea. … South Korean President Lee Myong-bak not only went to Takeshima, but also was disrespectful of the Emperor. He did that because there is a member of the Japanese Diet who wanted to make a deal with South Korea and resolve the historical issues by having the Emperor go to South Korea and apologize. On 31 August this year, the Dong-a Ilbo reported that during his talks with President Lee during his 2009 visit, Mr. Ozawa told him, “When I become prime minister, I’ll recognize Takeshima as South Korean territory to defuse the hatred of the South Korean people.” In other words, he told them that he’d give them Takeshima. This was reported based on the statement of a “high (South Korean) government official”. The Dong-a Ilbo was asked whether they had made a mistake, but they’ve never printed a retraction. The government claims it is a mistake because they didn’t identify the informant…. …First, we must recognize that the culture, civilization, and history of Japan and the Korean Peninsula are completely different. 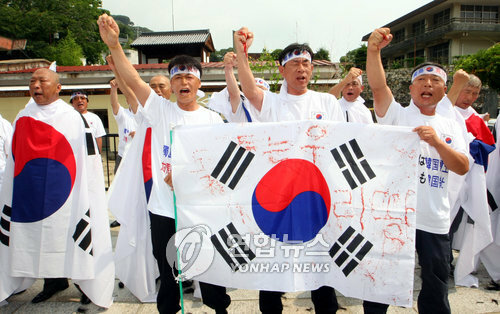 For example, as we recently saw again, there are anti-Japanese demonstrations and violence in South Korean and China. In contrast, Japanese seldom take actions of that sort. Some people say that’s because Japanese young people are lazy and apathetic, but it’s really because the civilization and culture are different. Though Japan is part of the same Confucian cultural sphere, it had a social structure characterized by regional authority. The culture that developed among the townspeople in the castle towns and the culture of the samurai created clearly separate roles in society, and everyone knew their role. …Historically, there is a tradition in Korean society of (literally) “being opposed to the correct”. There were three dynasties on the peninsula — Silla, Goryeo, and Choson — and each successive dynasty created their “correct history”. In other words, they created the “state history”. These histories always held that the previous dynasties were “evil”, and correct history began with the creation of a new dynasty. Therefore, (on the Korean Peninsula) “correct history” does not always align with historical fact. There is instead a distortion of history to constantly justify oneself. There has been a long tradition of maintaining one’s legitimacy by making others recognize that they are correct. Today, the South Korean presidents lose their power at the end of their term, and his successor often sends him to prison. That’s how they make people recognize their legitimacy. That’s the culture. * Note again the distinction between that which is “correct” and that which is not. That’s because the Koreans were traditionally Sinocentric culturalists of their own. * What the South Koreans consider an Imperial apology is not simply a public statement, but getting down on one’s hands and knees in the manner of Willy Brandt in Warsaw. That’s the reason for the Times Square billboard. * Was Mr. Ozawa being a statesman with his offer, or did it have anything to do with his mother’s family being ethnically Korean? (Jeju, apparently). No, I did not see her family register. Yes, I have it on good authority. * For the record: Mr. Ozawa denied the story when it appeared in the Dong-a Ilbo. Generally speaking, a response of this sort to the Diet members who legally entered the country is unacceptable…It is regrettable in view of the friendly relations between Japan and South Korea….The visit to South Korea was made with the intention of following the legal procedures for the purposes of observation. We state that this (refusal) is regrettable, and ask that South Korea reconsider and allow entry. THE Southern Dynasty of the Joseon Drama Queendom continued its long-running series of geo-historical farces this week by refusing to honor the tickets of three Japanese Diet members and a university professor and preventing them from entering the theater. Their cue was the group’s planned visit to Ulleung, the largest island of a South Korean administrative district that contains 44 islands with an aggregate population of roughly 10,000. The less than bravura performance of the Queendom’s thespians demonstrated once again their belief that all the world’s a stage, and all the men and women of the Japan of their imagination merely bit players. The professor in question is Shimojo Masao of Takushoku University, who lived in South Korea for 16 years and maintains a second residence in Seoul with his Korean wife. His role was to serve as a guide and translator for the content of the Korean-language exhibits and provide a historical context. The measure taken by the Queendom’s rulers suggests they were aghast at the idea of allowing outsiders a backstage glimpse of the blocking and choreography. There’s a reason they used to call it the Hermit Kingdom, but the peninsula isn’t the only place where time and trends have perverted the standards of gender identification. Prof. Shimojo is an occasional contributor to this site, and his observations on the incident that appeared this week in the Sankei Shimbun read very much like the texts he’s offered for our use. The following is an English translation of those observations. My visit to South Korea on this occasion was to make an observation tour of Ulleung with Diet members from the Liberal Democratic Party, visit some acquaintances, and conduct other research. Despite this, we were branded “The advance guard of Japan’s right wing Diet members”, and thrown out of the country. I’ve been to Ulleung three times. At the Dokdo (Takeshima) Museum on the island, not one document is on display to demonstrate that Takeshima is South Korean territory. Aren’t the real feelings of South Korea, “We would be put in a bind by being observed”? The Japanese and South Korean mass media have given extensive coverage to the uproar in South Korea, including such protest activities as burning the photographs of Shindo Yoshitaka and the other MPs. This situation requires a calm analysis, however, keeping in mind the (South Korean) presidential election in December next year. One aspect we must not overlook is that President Lee Myung-bak and his allies are using the Takeshima issue to boost their own popularity, and this performance to criticize the group with a moderate position toward Japan. The activities of Mr. Shindo and the other MPs were based on the extremely natural idea of going to the site themselves to obtain some hints for resolving the situation. They were not able to achieve their objective, but their restrained behavior and refusal to yield to pressure meant that all the decisions about diplomatic ties were made by South Korea. The conflict of opinions within South Korea was exposed as a result. The internal split within South Korea now resembles the latter stages of the Joseon Dynasty about 100 years ago. In those days, there was a fierce conflict between the Dongnipdang, the forces favoring Korean independence, and the Sadaedang, which favored maintaining the government then in power by subordinating themselves to the Qing China suzerainty. This incident might well be significant for the national interest of Japan through a reevaluation of future Japanese-South Korean relations. In any event, the refusal to allow entry to the country and expelling those with different opinions — rejecting even the idea of academic research — can be said to have clarified once again the essence of South Korean diplomacy. We should perhaps view this incident as demonstrating the true nature of South Korea. Shimojo Masao, a Takushoku University professor with very rightist views on territorial issues, arrived at the Incheon International Airport on an Asiana Airlines flight at about 9:30 p.m. on Sunday, according to the police. But the nationalistic professor was immediately denied entry to the country by immigration officials due to the local justice ministry’s disapproval of his visit, they said. The professor did not clash with officials and boarded a flight back to Japan after an four-hour stay in a waiting room at the Incheon airport, the police said. Whether Shimojo will try entry to South Korea again is still unknown, but immigration officials said he was not on the list of those seeking to enter the country. For Yonhap to speculate on whether he will “try entry again” is silly. Both he and his wife are often in the country, usually staying at a condominium they own in Seoul. Whenever I’ve met the man, he seems to be carrying more Korean-language documents than Japanese texts. (His interests include Japanese, Korean, and Chinese history, but both he and his wife also teach the Korean language at Takushoku.) Of course he’s going to “try entry again”. We have expressed the views of our party in regard to the Takeshima issue to the South Korean government and all the political parties whenever there has been an opportunity to do so. We believe the territorial issues (between the two countries) should be resolved by boldly holding bilateral discussions based on historical fact and international reason. Our party’s position is that Takeshima is Japanese territory, but (because its incorporation) overlapped the period of Japan-Korean unification, (this issue) should be resolved through discussion and joint research conducted with South Korea. Had any of the Yonhap drones read Prof. Shimojo’s book, Nikkan: Rekishi Kokufuku e no Michi (Japan and Korea: The path toward overcoming history), they would have known that the position expressed by Mr. Ichida is identical to that of Prof. Shimojo. Ichida Tadayoshi, however, is a member of the Communist Party of Japan, and his statement was run in their daily newspaper, Akahata (Red Flag). Japan’s Communists: The world’s first right-wing Reds! Reader Aceface forwarded a copy of an old Japanese-language Kyodo report explaining that the ushers have slammed the theater doors in a Japanese patron’s face before. 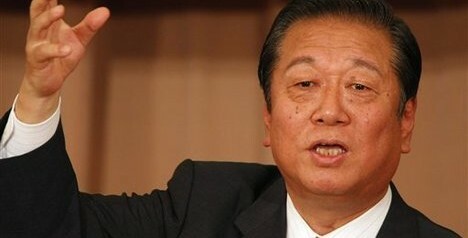 The venue operators refused in July 1997 to punch the ticket of Usuki Keiko, the head of the Committee to Clarify Japan’s Postwar Responsibility — someone who was on their side. The funds come from private donations, because the Japanese government claims it has already paid war reparations. In fact, the Japanese government reached an agreement with South Korea about reparations in 1965. Seoul wanted $US 364 million as compensation for the conscripted laborers and comfort women during the period of the Japanese colonization. The agreement instead gave South Korea $800 million in grants and low-interest loans. President Park agreed as part of the deal that South Koreans would relinquish the right to make individual claims against the Japanese government. Park paid out only about $251 million to families killed by the Japanese and some more to owners of destroyed property, however. None of the South Koreans conscripted into the Japanese military or workforce, or the comfort women, received anything. Park spent the rest of the money on the Korean infrastructure. The South Korean public only found out about this deal and Park’s use of the money in January 2005. Local Queendom activists screeched at the thought that the Japanese initiative would be a success and negate their efforts to keep hope alive. The Asian Women’s Fund gave money to seven South Korean women (as well as women from other countries) and a signed apology from the prime minister of Japan. More Korean women decided to accept the money and the apology, but the activists rattled the government’s cages so loudly they declared Ms. Usuki persona non grata. Allowing the money to be accepted would have been a de facto admission of the reality that the matter of postwar reparations between the two countries was officially closed. That would be an announcement of the end of the season for a drama it is in the domestic political and diplomatic interest, and the interest of the Queendom’s emotional architecture, to prolong. The excuse they found was Article 11.1.3 of South Korea’s immigration law. The government cited concerns of “safety” and the potential harmful effect on bilateral relations — specifically, “the negative effect on good relations between Japan and South Korea”. One wonders if they really expected (or cared whether) it would prevent a harmful effect on bilateral relations; they’re not so stupid that they failed to realize their decision would be the downer for bilateral relations, as the statement of a Japanese official quoted at the top of the page shows. One of the three Japanese MPs barred from entry is an opposition member of the upper house, and he received the authorization of that body to make the visit. The president of the upper house, meanwhile, is affiliated with the ruling DPJ. The excuse about safety irritated at least one of the Japanese MPs, who wondered if the South Korean government was treating them like terrorists. He also noted that the immigration authorities never asked them the reason for their visit. Perhaps he misunderstood. The South Korean government claims it was worried about their safety, not the safety of the national drama troupe. The authorities may have a point, though it is telling this excuse is a tacit admission they are unable to guarantee the safety of foreign government officials on a trip to an outlying island with no more than 10,000 people. The groundlings at Globe Theater East can become so emotionally engrossed in the dramatic spectacle, they chop off their fingers, shoot flaming arrows (onto the grounds of the Japanese embassy), and disembowel birds at the drop of a hanbok. Japanese television broadcast a demonstration in Seoul in which one the signs carried by the participants contained the Chinese characters for “rabid dogs”. (The rest of the wording was in Korean.) For those who are interested in straightforward examples of what the psychologists term “projection”, there you are. Now take another look at the photo of Prof. Shimojo and ask yourself who the rabid dogs might be. There are reports the Queendom’s subjects are convinced the visit was a ruse by the Japanese politicians to divert attention from their own government’s mishandling of the nuclear accident at Fukushima. Are these people capable of breathing without trying to elbow their way into being the center of attention? The (political) mishandling is the responsibility of the ruling Democratic Party. The three MPs who got as far as Incheon Airport are from the opposition Liberal Democrats. The DPJ can’t even coordinate its own affairs, much less recruit three people from the opposition to serve as cat’s paws. There are more than 700 national legislators in Japan, and the three involved are unknown to the nation outside their districts. Indeed, the source of Prof. Shimojo’s frustration with the Japanese political class is that so few of them care what happens overseas anywhere, much less the Korean Peninsula. Had they chosen to wave the three legislators through customs into the country, whatever happened during their visit would never have become a story in Japan. But neither would it have become much of a story in South Korea. That’s not a good strategy for box office success, now is it? Prof. Shimojo suggests in the foregoing that the incident has clarified the essence of South Korean diplomacy. I would agree, though perhaps not in the way he intended. There are some people whose emotional identity is welded to the idea that the Japanese have never expressed enough emotional and pecuniary remorse for the behavior of their great-grandparents, and honest efforts to do so would thaw the most frigid of Joseon hearts. This is such gloop it’s a wonder people are able to deliver it with a straight face, much less have to sit through a hearing or a reading of it without heaving a tomato at the stage. In early June, the Japanese government decided to unconditionally “hand over” to South Korea their copies of the Uigwe, records of the royal protocols of the Joseon dynasty. The Japanese governor-general of Korea had taken them to Tokyo in 1922, and few people knew of their existence or whereabouts until 2001. That was a most generous gesture on the Japanese government’s part for three reasons: First, there was no obligation to return that portion of the documents purchased in private transactions by individual Japanese from individual Koreans. Second, the French also have some of the same records, but refuse to return them outright. They’ve retained possession and “loaned” them to the Korean government for five years instead. Third, the South Korean government has similar Japanese historical documents in its possession, but claps its hands over its ears to block out requests that it reciprocate by returning those to Tokyo. South Korean diplomacy is now so clear that those with the eyes to see should realize that any sincere gesture of Japanese atonement will cut no ice off that Joseon heart. When the subject is Japan and the Japanese, they’re not happy unless they’re not happy. To be sure, some of those folks who believe any gesture would have an effect are of the transnational type that gets its kicks by hari no mushiro ni suwaru, as the Japanese say, or sitting on a bed of thorns. These Little Jack Horners find it a delightful and bracing exercise to proclaim how terrible they are as a transparent backdoor way to proclaim how wonderful they are. It is a touch of dramatic irony that the only people they fool are themselves. The rest seem to be dullards who actually believe what they say. No amount of contrary evidence or explanation will ever penetrate the concrete bunkers of their skulls. One might as well try telling a fish that it is swimming in water. A critical element of a successful drama is tricking the audience into suspending its disbelief. Now that the impresarios of the Drama Queendom have allowed the overseas audience a view behind the curtains and the faces of the players under the masks, the effect is forever ruined. That will be of no concern to the Queendom’s subjects, however. In that land, you’re either one of the cast or one of the stagehands, and everyone’s part of the audience. One website run by a native English speaker in Seoul uses an 1898 quote from Isabella Bird Bishop for its name and masthead statement: “Gusts Of Popular Feeling, which pass for public opinion in a land where no such thing exists, can be found only in Seoul.” For more on that phenomenon, try this. Instead of historical melodrama, the Queendom sometimes offers slapstick comedy on its playbill as a change of pace. To be fair, some of the Queendom’s subjects know how the bologna is ground and do not find it appetizing. The dramaturges of the Northern Dynasty of the Joseon Drama Queendom prefer to stage productions of a different sort — they have a taste for a more martial form of Sturm und Drang — but the similarities in thematic approach and content will be obvious to even casual theater-goers. PROF. SHIMOJO MASAO has been occupied with other matters lately and has been unable to write for the site, but yesterday he sent this article on the Senkaku Islets. TENSIONS have recently erupted between Japan, China, and Taiwan over the territorial rights to the Senkaku islets. The eight islets, which include Uotsuri and Kuba, lie about 175 kilometers northwest of the Yaeyama archipelago in Okinawa and about 195 kilometers northeast of Taiwan, and are under the jurisdiction of Tonoshiro, Ishigaki in Okinawa Prefecture. They have been Japanese territory for more than a century, since 14 January 1895. The Ministry of Foreign Affairs of the Republic of China claimed the Senkakus on 11 June 1971, while the People’s Republic of China claimed them on 30 December the same year. The reason both Taiwan and the PRC claimed the islets is the content of the report issued by the United Nations Economic Commission for Asia and the Far East (ECAFE) of a survey of the East China Sea seabed in 1969. The report stated it was possible there were deposits of oil resources on the continental shelf of that sea. The territorial claim of the Chinese government is a special case in that they view the Senkakus as ancillary islands to the province of Taiwan, which they consider to be part of China. The grounds for the Chinese territorial claim is that when the Ryukyu Kingdom (now Okinawa Prefecture) became a vassal state of the Ming and Qing dynasties, the Senkakus were used as a landmark on the sea route when the Chinese emissary visited. Therefore, insist the Chinese, they were aware of the islands first. Another basis for their claim that the islets are Chinese territory is that Qing Dynasty emissary Xu Baoguang did not include the Senkakus in the 36 islands of the Ryukyu chain in his Annals of Zhong Shan. The Japanese incorporation of the Senkaku islets as terra nullius in 1895 was proper under international law. The problem, however, is the wide divergence in historical understanding between the two sides. While Japan asserts that the Senkakus are Japanese under international law, the Chinese say they were historically Chinese territory and that their incorporation into Japan was an imperialist occupation. Chinese fishing boats have nonchalantly continued to carry out fishing operations in Japanese territorial waters near the Senkakus, and this fait accompli informs the Chinese historical awareness that the islets are Chinese territory. That is the reason China tried to justify the collision when the Chinese fishing vessel rammed the Japanese Coast Guard patrol boats on September 7, and the captain was arrested on suspicion of obstructing public officials in the line of duty. Even when the Japanese took a firm stand and repeatedly insisted that the Senkaku islets were Japanese territory, the Chinese did not agree. Japan’s Democratic Party government deployed a coastal surveillance team of about 100 members to Yonaguni, an island near the Senkakus, on 21 November as part of their evaluation of National Defense Program Guidelines, saying they could detect Chinese military vessels and aircraft in the area with radar. The Chinese countermeasure was the immediate dispatch of two fishery patrol vessels to the area near the Senkakus that passed through the adjoining Japanese waters. A response of this type, however, is not a wise choice. It is not too late for the Chinese to reexamine their historical awareness before both countries become emotional. In the same way that South Korea continues to illegally occupy Takeshima with no historical justification whatsoever, the Chinese have demonstrated no historical basis for their claim that the Senkakus are Chinese territory. Of course the Chinese passed near the Senkakus every time their sent their emissary to the Ryukyu Kingdom when the latter was their vassal state. 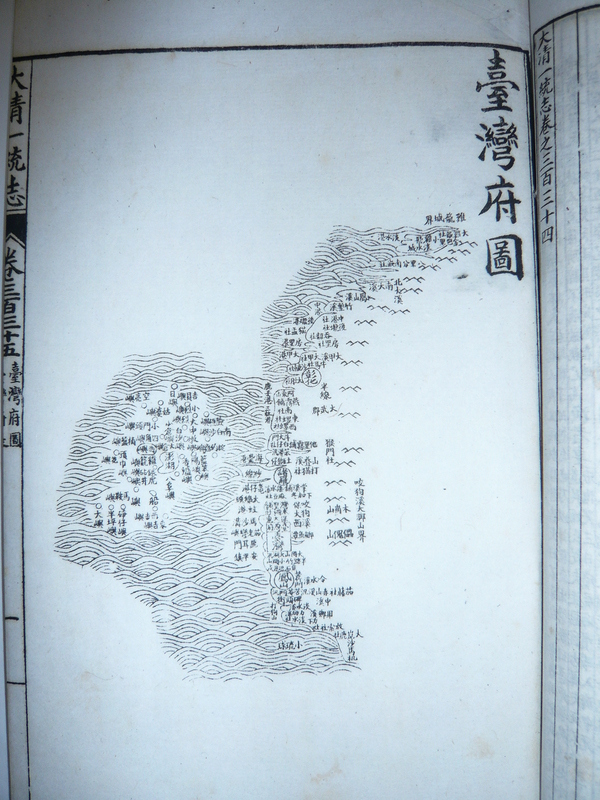 It is true that one part of the Senkaku islets were shown in a map in Zhou Huang’s Treatise on the Ryukyus, and they are not included as one of the 36 Ryukyus as described in Xu Baoguang’s Annals of Zhong Shan. That alone is not grounds for claiming that the Senkaku islets are Chinese territory, however. That’s because Ming Era Taiwan, known as Dongfan, was inhabited by indigenous people and Chinese rule did not extend to the island. 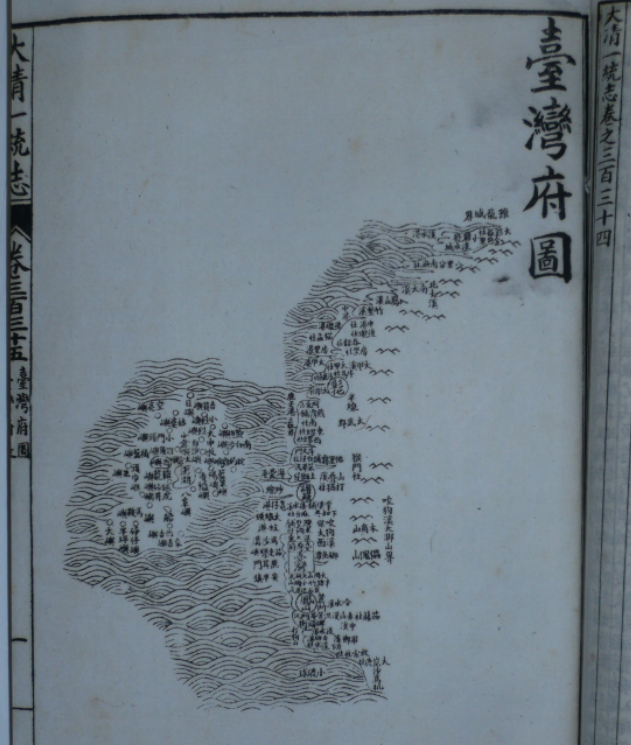 The Da Qing Yi Tong Zhi, a 1744 geographical survey of the Qing empire, showed that Taiwan was part of Japan during the reign of the Emperor Tianqi (1621-1628). It was also occupied by the Dutch for a time. The Qing Dynasty annexed the island in 1684, but their rule did not extend beyond the southwestern part of the island. It did not reach the northern part of the island until 1723, when it established the Zhanghua and Danshui sub-prefectures. The territory controlled by the provincial authority established during the Qing Dynasty did not extend over all of Taiwan. That can be confirmed by the Taiwan Fuzhi (Annals of Taiwan Prefecture), written by Gao Gongqian and others in 1696, and the maps in the Chongxiu Taiwan Fuzhi (Revised Gazetteer of Taiwan Prefecture) by Fan Xian and others in 1747. The eastern half of the island, which includes the Taiwan mountain range, is left blank, evidence that Qing Dynasty rule did not extend there. 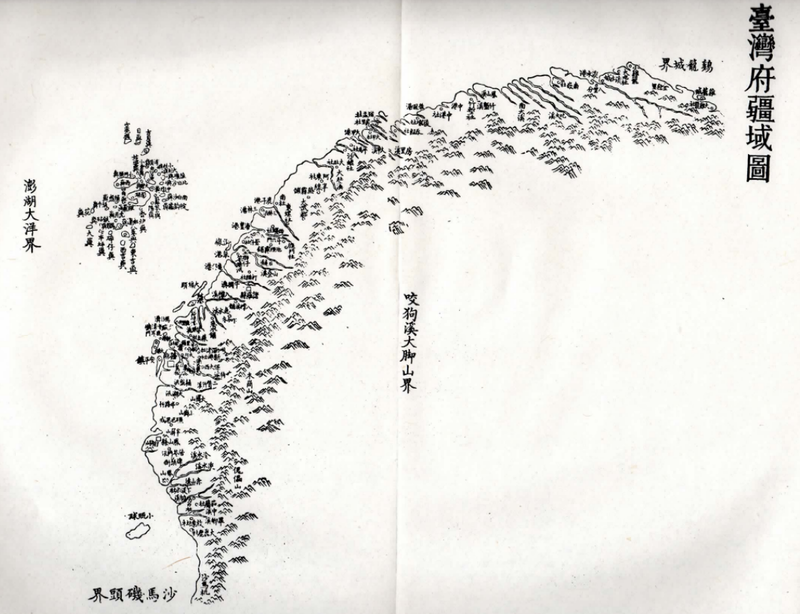 In addition, the map of Taiwan Prefecture in the latter source shows the northern boundary of their control to be the Keelung (Jilong) Castle, while the Fengyuzhi in the Taiwan Fuzhi explains that the territory stretches 2,325 li northward to Mt. Keelung, thus defining the territorial border of Taiwan. The Senkaku islets are 195 kilometers northeast of both the fort and the mountain, so they obviously were not considered part of Taiwan. This can be confirmed with the map compiled at the order of Emperor Qianlong in the Da Qing Yi Tong Zhi. The map of Taiwan Prefecture is the same as that in the Taiwan Fuzhi and shows the Keelung Castle as the northern border of the territory. That map in turn was later used as the model for the Taiwanfu Jianyutu in the Qinding Gujin Tushu Jicheng (Complete Collections of Illustrations and Writings from the Earliest to the Current Times) of 1728. There was no change in the extent of the territory when the Republic of China was founded in 1912. That is shown in the Danshui Tingzhi (The Danshui Sub-Prefecture Gazetteer) compiled at the end of the Qing Dynasty in 1871, the Huangchao Xu Wenxian Tongkao (Comprehensive investigations based on literary and documentary sources) dating from the Republic of China era in 1912, and the Qingshigao (The Draft History of Qing) completed in 1927. From these Chinese documents, it can be stated on the basis of historical fact that the Senkaku islets have never been Chinese territory, and that the Japanese government’s possession of them as terra nullius was appropriate under international law. The Chinese, however, say that the Senkakus have historically been Chinese territory, and criticize Japan’s incorporation of them as an imperialist occupation. That is based on ignorance. One can only say theirs is a historically warped territorial ambition of the same type as South Korea’s occupation of Takeshima and Russia’s occupation of the Northern Territories and the Kurile Islands. Prof. Shimojo told me that he found the map shown here in the university library. The book in which it was found is about 100 years old, had not been examined for a long time, and the university was not aware of the map’s existence. THE ON-LINE EDITION of the Korea Herald, an English-language South Korean newspaper, has begun a weekly interview series on the subject of the “East Sea”. Since 1992, the South Korean government has been conducting an operation to manipulate public opinion with the intent of changing the name of the Sea of Japan to the East Sea. They are focusing their efforts on the United Nations Conference on the Standardization of Geographical Names and the International Hydrographic Organization. The articles in the Korea Herald are part of this effort. They have already interviewed Lee Teh-myong; Prof. Alexander B. Murphy of the University of Oregon; Peter E. Raper, former chairman of the United Nations Group of Experts on Geographical Names; Prof. Rainer Dormels of the University of Vienna; Prof. Lee Sang-Tae of the Korea International Culture University; Prof. Han Maoli at the College of Environmental Sciences at Peking University; Paul Woodman, former member of the Permanent Committee on Geographical Names in the UK; and Peter Jordan of the University of Vienna. The problem, however, is that the South Korean attempt to rename the Sea of Japan the East Sea has as its backdrop the dispute over the territorial rights to Takeshima, which South Korea has occupied by force since 1954. It is a fact that this issue is highly colored by political considerations. The Takeshima islets in the Sea of Japan, which South Korea refer to as Dokdo, are an intrinsic part of Japanese territory. They were incorporated into Japan as terra nullius based on international law. On 18 January 1952, the South Korean government without warning proclaimed the existence of the Syngman Rhee Line in international waters. Takeshima was on the Korean side of this line. This was three months before Japan, defeated in the Second World War, was to return to the international community when the San Francisco Peace Treaty came into effect. In addition, the South Korean government began the practice of hostage diplomacy when it seized and held about 3,000 Japanese fishermen on 12 December 1953 using the Syngman Rhee line as a pretext and held them until 1965. This hostage diplomacy was a show of force in the negotiations to normalize Japanese-South Korean relations, which had begun in February 1952. The South Korean government had the Japanese government recognize the legal standing of an enormous number of Korean citizens in Japan who had been infiltrated into the country after the war. It used as a diplomatic card the forced relinquishment of the right to claim the Japanese assets that remained on the Korean Peninsula. Today, the South Koreans insist on calling the body of water the East Sea. They assert it is inappropriate to use the Sea of Japan name because it would mean that occupied Takeshima is part of Japan. The real objective, however, is to seal off the Takeshima issue. The claim that Takeshima, which historically has never been part of South Korea, is their own territory is far-fetched in itself, but the attempt to place the recently established East Sea concept in ancient times and to insist that the name has been used for 2,000 years is nothing but a fraud to deceive the international community. There is a reference to the “East Sea shore” in the Korean Samguk Sagi (History of Three Kingdoms) dating to 37 B.C., when the Goguryeo kingdom was established on the Korean Peninsula. This has been the evidence for using the East Sea name in place of the Sea of Japan. There is a reference to the East Sea in the Paldo Chongdo (Map of Eight Provinces) in the Dongguk Yeoji Seungnam (Survey of the Geography of Korea), so that has been used instead of the Sea of Japan. The “East Sea” recorded in the Samguk Sagi, however, referred to the Bohai Sea near the Liaodong Peninsula in China. The East Sea in the Paldo Chongdo of the Dongguk Yeoji Seungnam is nothing more than the location of a temple in which the coastal waves were enshrined. The South Koreans arbitrarily interpreted the documents and have attempted to change the name of the Sea of Japan to the East Sea to justify their illegal occupation of Takeshima. This South Korean attempt to intentionally confuse the international community will simply damage the world’s trust in South Korea. The fact that Takeshima did not appear on any Korean maps or in any Korean documents until the end of the 19th century is proof not only that the South Koreans were unaware of Takeshima, but also demonstrates that their awareness of the Sea of Japan was limited to the coastal regions of the Korean Peninsula. The South Koreans then began to claim that the Sea of Japan name became dominant due to Japanese imperialism and colonialism in the first half of the 20th century. In 1929, when Japan ruled the Korean Peninsula as a colony, the International Hydrographic Organization, which produces nautical charts as guides, published its Limits of Oceans and Seas using the Japan Sea name. This aroused the nationalism of the South Korean people, as their national pride would not allow it to stand. There is no historical basis for the South Korean claims, however. The Sea of Japan name was used in Japan in April 1883, when a naval bureau published it in a directory of sea lanes. The Navy used the name again in 1894 in a directory of Joseon sea lanes, and used it continually in nautical charts throughout the latter half of the 18th century. Consequently, the Sea of Japan name was already established before the first half of the 20th century, the period of Japan’s colonial rule of the peninsula and its territorial expansion. Lee Teh-myong, Prof. Rainer Dormels, Prof. Lee Sang-Tae, and Prof. Han Maoli have become collaborators in disseminating South Korean political propaganda based on spurious history. In particular, Prof. Dormels of the University of Vienna conducted his research under the guidance of the Northeast Asian History Foundation and Seoul National University. One has the sense he was used by South Korea to manipulate international opinion. The Korea Herald has also presented Prof. Alexander B. Murphy, Peter Jordan, Peter E. Raper, and Paul Woodman as if to dress up their articles as an authoritative project, but every one of these men is a sorry victim taken in by preposterous South Korean deceptions. That’s because they believe the Sea of Japan and what South Korea claims is the historical East Sea are one and the same. The facts, however, are different. When the term East Sea was used on the Korean Peninsula, it was used in reference to the coastal waters off the peninsula other than the Bohai Sea and the East China Sea. The waters farther off the coast were recognized as the open sea. Thus, both Paul Woodman and Peter Jordan ignored historical truth and uncritically promoted a theory in accordance with South Korean machinations. Reading the series of columns in the Korea Herald reinforces the realization of the fruitlessness of the discussions at the United Nations Conference on the Standardization of Geographical Names or the International Hydrographic Organization. UN Secretary-General Ban Ki-moon, a Korean, distributed a pamphlet with the Sea of Japan written as the East Sea and Takeshima as Dokto at a concert sponsored by the secretary-general on UN Day in 2007. What the international community expects of international organizations is a high level of fairness and knowledge. In that sense, the view of Prof. Han Maoli vividly demonstrates the extent of the South Korean historical understanding of the East Sea. Prof. Han discusses an article called Ji Dong Hai Zhu Wen (祭東海祝文) in the Da Jin Ji Li (大金集禮) of the 10th century, which refers to the Jin Dynasty of Northeast China. He says that the term East Sea used in that document refers to the Sea of Japan, which in turn is evidence the Qing Dynasty, which was established in the same region as the Jin Dynasty, referred to the Sea of Japan as the East Sea. The East Sea in the Ji Dong Hai Zhu Wen, however, refers to the East Sea enshrined in a temple (神廟) in the Laizhou area of China’s Shandong Province facing the Bohai Sea and has nothing to do with the Sea of Japan. 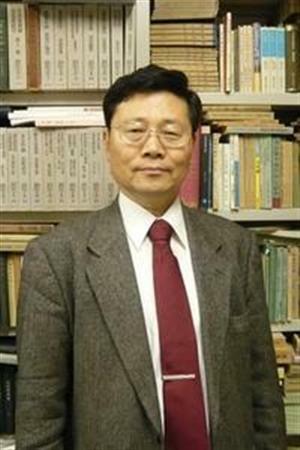 Nevertheless, Prof. Han arbitrarily interprets one part of the Da Jin Ji Li and jumps to the conclusion that the East Sea of the Dong Hai Zhu Wen is the Sea of Japan. In fact, however, in the section known as Yue Zhen Hai Du (嶽鎮海瀆) in Vol. 34 of the Da Jin Ji Li and Vol. 34 of the Jin Shi (金史, History of the Jin Dynasty), the reference to the East Sea is to the temple in Laizhou. That institution survived into the Qing Dynasty. In fact, the Huang Chao Tong Dian (皇朝通典) and the Huang Chao Wen Xian Tong Kao (皇朝文献通考), historical records from the 18th century, state that the East Sea is enshrined in the temple in Laizhou, Shandong. The location of the temple is clearly identified in Vol. 136 of the Da Qing Yi Tong Zhi (大清一統志, geographical records from the same century). Thus, in both the Jin and the Qing dynasties, the temple that enshrined the East Sea was located in Laizhou, Shandong, which faced the Bohai Sea. It is self-evident that this East Sea has nothing whatsoever to do with today’s Sea of Japan. As shown in the foregoing, the efforts of the Korea Herald to manipulate world opinion by marshalling “logic” with no historical basis whatsoever to assert that the Sea of Japan should be called the East Sea, and that Takeshima should be called Dokto, have ended in failure. Every time the occasion presents itself, the South Koreans castigate the Japanese as invaders and conceal that they unlawfully seized Takeshima. Using foreign researchers ignorant of actual circumstances highlights the ugliness of their scheme. I would hope that not only the Korea Herald, but the entire print media of South Korea, which continues to deceive their readers with false reporting, remember their responsibility as opinion leaders. South Korea became a member of the International Hydrographic Organization in 1957, and as late as 1986 recognized the Sea of Japan as the official name for that body of water. At the 15th IHO Conference in 1997, however, they suddenly claimed that the name was a remnant of Japanese imperialism and demanded that the name be changed to the East Sea.